As a twelve year old boy, Jesus visited Jerusalem and with his parents attended the annual Passover service. With the worshipers He bowed in prayer. He witnessed the impressive rites of the paschal service, the sacrife of the lamb. Every act seemed to be bound up with His own life. New impulses were awakening within Him. Silent and absorbed, He seemed to be studying out a great problem. The mystery of His mission was opening to the Saviour. 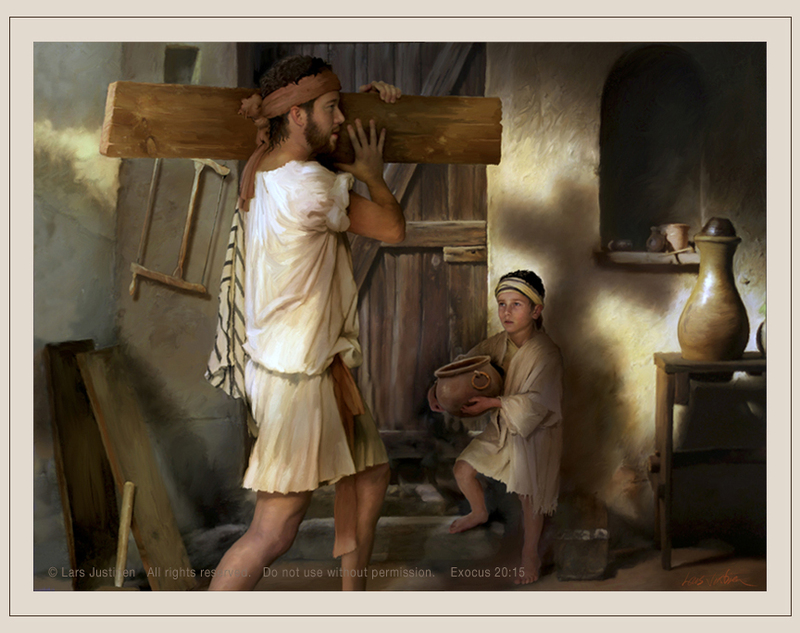 Back in his father's carpenter workshop, he continued to do his humble chores, symbolically illustrated in this painting.